With all the recalls and misinformation out there about dog food, you may want to make your own dog food. It’s a great way to control exactly what your dog is eating and have the peace of mind of knowing nothing harmful will be in their food. 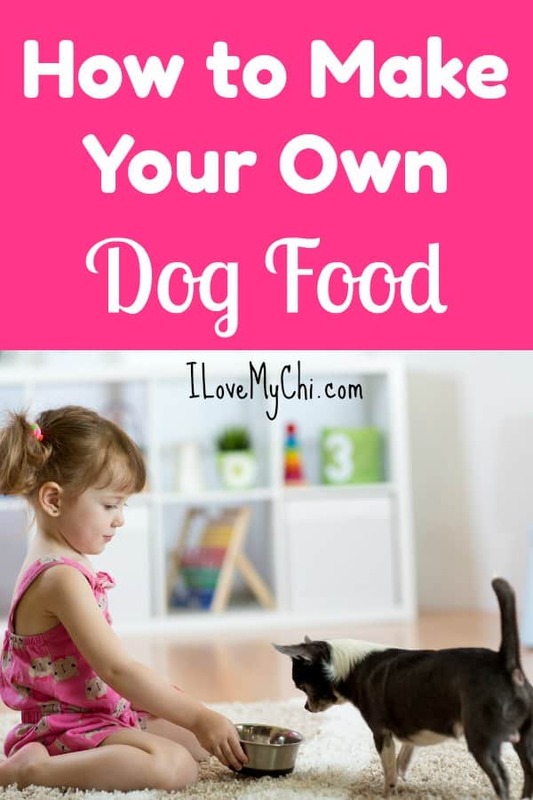 It isn’t a hard thing to design an ideal homemade dog food diet, all you need is to set a good plan. Setting a good plan includes taking note of appropriate quantities of essential ingredients that should be contained in your pet’s diet. Most times, dog owners either miss out on key ingredients or feed them in excess which is not good for a healthy dog diet. 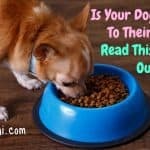 You also need to know how much to feed your dog. 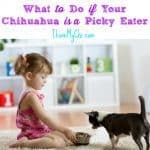 It’s so easy to over feed our little dogs without even realizing it. A puppy under a year old should be fed several times a day and should have 50 calories per body weight per day. Depending on what you are feeding them, that equals about 1/2 cup to 1 cup of food a day. An adult dog should have about 40 calories per pound of body weight. You can feed 1 or 2 times a day. 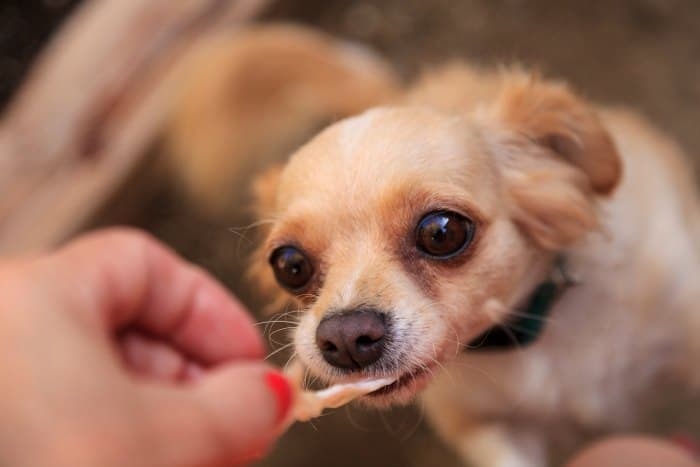 Smaller dogs may need to eat several times a day to keep their blood sugar steady. A senior dog over the age of 8 should have 30 calories of food per pound of body weight. That means your 6 pound senior dog only needs 180 calories for the whole day. You can break that up into 2 meals or just one. 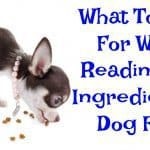 Let’ take a look at how to make dog food at home (be sure to read to the end of the post for some recipes) but first, there are specific guidelines to help you ensure that your dog food meets the requirements. 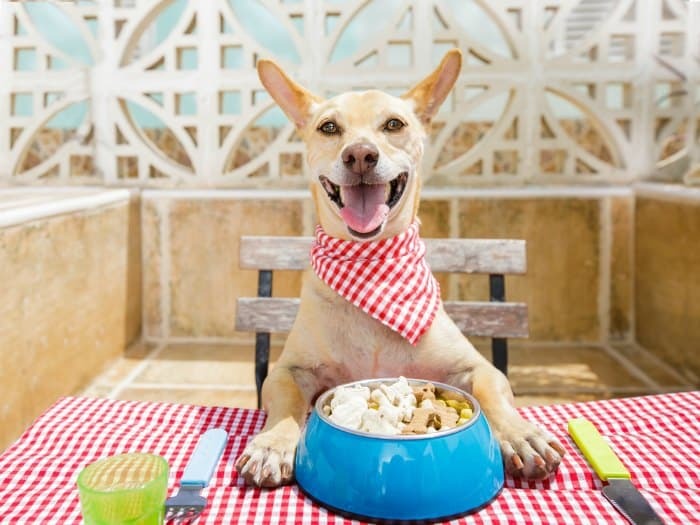 First, we need to look at a few tips to guide you when you have plans to create a home-prepared diet for your dog. Stick to lean meats and remove the skin from the poultry you feed unless your dog is highly active. 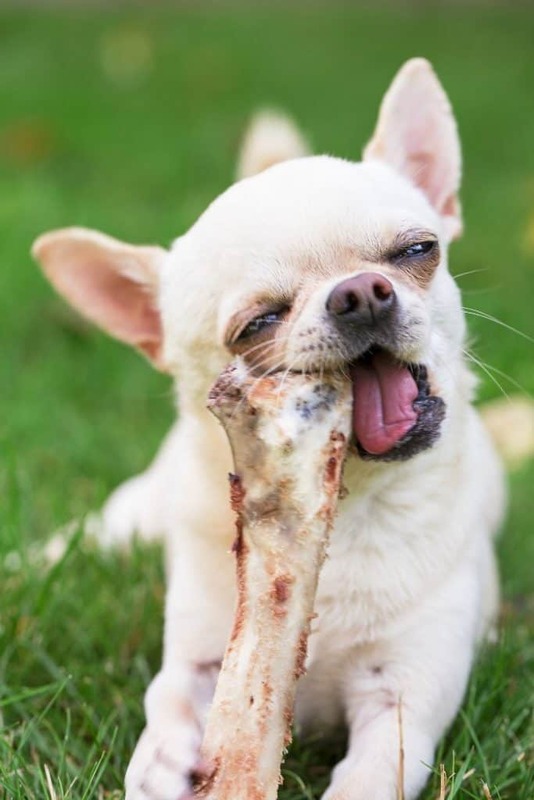 Make sure you supplement your dog’s homemade diet with calcium unless you feed raw meaty bones. Keep in mind that the less variety of foods you feed, the more important supplements become. Meat and Meat Products: A big part of your dog’s diet is meat. It is important to know the adequate quantity of meat required for your dog in order to avoid obesity or deficiency in required nutrients. Unless you have a very active dog, it is necessary to feed your dog with lean meat to avoid excess consumption or accumulation of fat. Fish: Fish provides your dog with vitamin D. You do not want to choke or cause internal injuries to your dogs and that is why it is necessary for you to get rid of all bones regardless of the kind of fish you feed them, be it mackerel, salmon or Sardines. Canned fish packed in water (not oil) is also recommended provided the bones are removed. Tuna is a good option. Fish should be served in small amounts daily or in larger amounts twice a week. Organs: Organs from beef are very nutritious and should be included in your dog’s food to ensure a healthy and well-fed dog. Dairy: Goat’s milk is preferable for dogs but most dogs can tolerate kefir and plain yogurt. The amount of cheese they are given should be limited because of their high-fat content. Fruits and Vegetables: Fruits are also very healthy and important for dogs. You can treat them with bananas, papayas, melons, berries, apples, and pears. 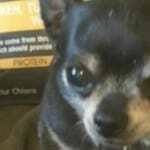 Read more here about fruits safe for chihuahuas. Fruits and vegetables aid in digestion and contain antioxidants and essential nutrients which contribute to maintaining good health. Starchy Vegetables: winter squashes (which includes pumpkins), potatoes, legumes (beans) and sweet potatoes are rich in carbohydrate calories which aid in minimizing costs and adding weight to skinny dogs. These foods should be cooked properly to aid easy digestion. Go easy on the white potatoes though. 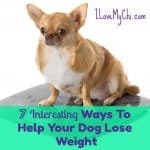 Non Starchy Vegetables and Leafy Greens: You can feed your dog with any desired quantity of non-starchy vegetables because they are low in calories. Too much consumption of these vegetables though can cause gas while raw cruciferous vegetables such as cauliflower can suppress thyroid functions. All homemade dog food diets must be supplemented with calcium unless you feed raw meaty bones. Each pound of food should be supplemented with 800 to 1000 mg of calcium. You can make use of any form of plain calcium, say, the eggshells ground to powder. Or you can buy calcium supplements for your dog here. Cod Liver Oil: Contains EPA, DHA and vitamins A and D. If your dog does not consume much fish, cod liver oil can serve as a very good substitution. It can be combined with other fish oils to increase the amount of EPA and DHA. These oils make your dog’s diet rich with omega-3-fatty acids. It is important to adhere to the quantities suggested in order to avoid fat accumulation. Plant Oils: Some oils from plants such as soybean, sunflower, walnut and hemp seed can provide your dog with linoleic acid which is a very essential omega-3-fatty acid and can be used as a substitute for the oil source. However, high-oleic safflower oil, coconut oil, and olive oil are low in omega-6 and do not serve as good substitutes for oils but can be served in teaspoons on meats. Vitamin E: Most home diets do not have vitamin E and the more you feed your dogs with oils, the more they need vitamin E.
Iodine: You do not want your dog to have too much or too little of iodine as this affects thyroid functions. Kelp contains a high amount of iodine; the amount of iodine in each supplement varies. Multivitamins and Mineral Supplements: These helps to meet the requirement of mostly iodine, Vitamin D and Vitamin E. These supplements are important but it is necessary to avoid excessive supplements. Most supplements provide enough vitamins but are in low minerals. Do not give vitamins made for humans to your dog. Green Blends: If you don’t give your dog vegetables in his or her diet, green blends made from alfalfa and different herbs can be a very good supplement. Most of these blends supply calcium in the diets which means there won’t be a need for calcium supplements. Now we have some recipes that I have collected from members of our facebook group. Some of these seem to be lacking in all the nutrients needed, so those diets may need few supplements added to them. Ada Arnold Lean mixes ground beef, salmon, kale, carrots, and green beans with small amounts of rice or oatmeal, and an egg. Grind fine and to other ingredients. Mix well. I place approx 5 ozs per container. Brown meat. Drain and cook veggies. Add everything together and chop to small bite size pieces. Ana McClure boils chicken thighs and takes the meat off the bones. Sometimes she substitutes ground turkey, 95% lean ground beef or wild game. She adds cooked vegetables and some brown rice and chops it all up in a food processor. And she warms it up before feeding. Melisa Ayars boils a chicken breast and cut sit up into small pieces. When it’s almost done she adds brown rice to take up some of the broth and water… About 5 minutes away from being done. The she adds fresh broccoli, peas and carrots. I hope this encourages you to try making your own dog food. If you already do make it, please share how you do it in the comments. If one chooses to feed dry dog food, can you suggest a couple of good dry dog food. Like Orijen is this a good product? Why are so many dogs allergic reactions to chicken in dry dog food? No one is sure why so many dogs are developing allergies to chicken but some think it’s because chickens are injected with hormones and other chemicals to make them grow larger and that could be causing allergic reactions to them. I don’t know anything about Orijen but Canidae is good. Fromm and Taste of the Wild is also good foods.